Every year, the National Association of Legal Fee Analysis (NALFA) – a 501(c)(6) non-profit professional association for the legal fee analysis field – announces the nation’s top attorney fee experts and legal bill review programs. Attorney fee experts are judicially qualified expert witnesses who provide expert testimony on the reasonableness of attorney fees and expenses. Attorney fee experts are often retained by fee-seeking and fee-challenging parties to prove attorney fees and expenses in court or arbitration. 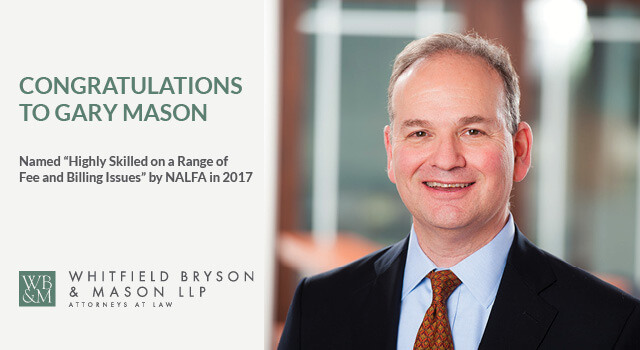 For more on the nation’s top attorney fee experts, visit https://www.thenalfa.org/blog/nation-s-top-attorney-fee-experts-of-2017/. For over 28 years, Dan has focused his practice on complex civil litigation, successfully representing thousands of owners in a wide variety of defective construction product suits, class actions, and various mass torts and recovering more than $1.25 billion for his clients in numerous states throughout the country. 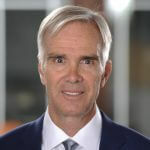 John Whitfield has been significant in his management of a suit involving the death of my son in a motorcycle accident. His professionalism, compassion, support, and especially his knowledge base in this suit has been above reproach. He has communicated well and kept all parties apprised of the status of the suit. I feel he negotiated effectively to reach the best possible settlement for my son's estate. He certainly assures his clients are represented well. I am grateful for his successfully bringing this suit to a satisfactory conclusion. In short, John's expertise has been awesome. I am very grateful to Gary Mason for taking the initiative in filing suit against the manufacturers of defective CSST pipe. I am sure that this successful litigation will now help Maryland homeowners become aware of the danger of old style CSST pipe and to let them know what steps they may take to protect themselves against those dangers. Who knows how many lives and homes may be saved as a result of his efforts. Thank you Gary Mason for your important work in this litigation. I enjoyed working with him on this effort.